Following speculation that Kroger may be mulling a bid for troubled natural and organic grocer Whole Foods, the Financial Times has reported a new potential suitor for the Austin, Texas-based grocer: Albertsons. Although the Boise, Idaho-based grocery company has yet to make a formal bid, Cerberus Capital Management, Albertsons' parent, reportedly has been in preliminary talks with bankers about making one, while Whole Foods has hired Evercore to advise on a strategic review of business operations, possibly including a sale, FT reported. Whole Foods shares rose 3.6 percent following the report. The news follows the report that investment firm Jana Partners and several food retail experts purchased a 9% stake in Whole Foods, collectively making them the chain's second-largest investor. Albertsons Companies is one of the largest food retailers in the US, operating stores across 35 states under 19 banners including Albertsons, Safeway, Vons, Jewel-Osco, Shaw’s and Acme. 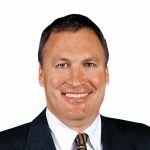 Click here to read the full story: "Albertsons Considering Bid for Whole Foods: Report"
Current Jewel Osco Division President Mike Withers has been appointed Executive Vice President, Retail Operations for Albertsons Companies. Withers will lead the company’s East Region operations, while current EVP, Retail Operations Susan Morris will lead the West Region. Jim Perkins, EVP, Retail Operations Special Projects, is focused on targeted initiatives to accelerate growth. All three executives will continue to report to Wayne Denningham, President and COO. Withers began his career with Albertsons in 1976 in Boise, starting as a courtesy clerk. He served as district manager in both Washington and Florida and was eventually promoted to Big Sky Division President with responsibilities for store operations in Montana and North Dakota, a role he also held in both the Florida and Portland divisions. Since 2006, Withers has served as Vice President of Marketing and Merchandising for the Florida and Southern divisions, and President of the Southern and Jewel Osco divisions.